There is something for everyone at the annual Coconut Festival: entertainment, cultural displays and activities, shopping, history, games, cooking demonstrations, contests and food. The Kapaa Business Association 18th Annual Coconut Festival Event Description: The Kapaa Business Association will host Kauai’s 19th Annual Coconut Festival Saturday October 3rd and Sunday October 4th at Kapaa Beach Park! Celebrate all that is Coconut with unique coconut crafts, coconut games, delicious coconut foods and contests with some of the best crafters, artists and entertainers in Hawaii!. Enjoy non stop music, taiko drummers, hula, and a whole lot of fun. Live music Saturday and Sunday. Lots of fun for keiki too. With a children’s stage, petting zoo, inflatables and coconut related activities. Don't miss the cooking demos by some of the island’s most popular chefs. The Coconut Festival is always the first weekend in October, and right after the Saturday event, don't miss the hugely popular 1st Saturday Event that takes place from 6 until late. 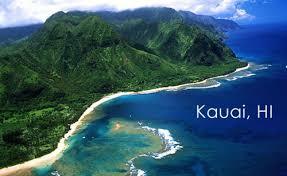 Kapaa Hawaii Visitor Information, Attractions, Restaurants, etc.